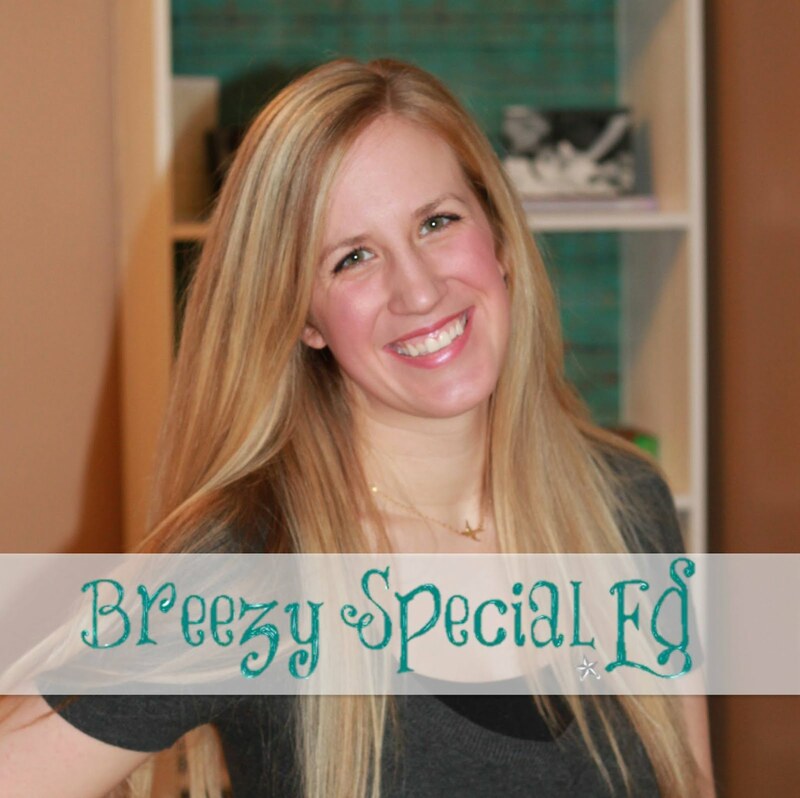 Money Saving Bundles + TpT Back to School Sale = Insane Savings! I have having a hard time believing it's already back to school time! We start a week from Tuesday, on the 11th. Going back into my classroom today to get started. Yikes! There is no denying it now, it's time to get ready!! Thankfully, Teachers Pay Teachers is having their annual back to school sale today and Tuesday. I have set my entire store to 20% off, and then you can get an additional 10% off by using the coupon code "BTS15" when you check out. This is a fabulous deal on all products, but an even more fabulous deal on my bundles, which are always discounted. With the sale you can get these for about half the price of what you would pay regularly on all of the products separately! 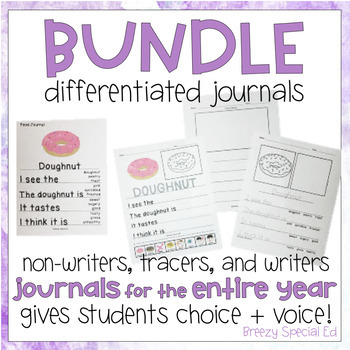 My new journals created for non-writers, tracers, and writers have been bundled HERE so that you can get an entire years worth (180) of differentiated journals in one pack at a major discount! I absolutely love using these because of my all students can participate. 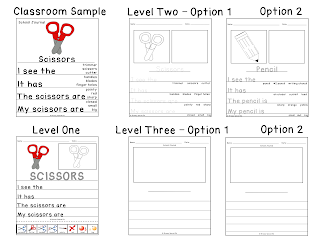 Options are given for students so that they can begin to complete sentence starters on their own. Grab all of these journals HERE. Need journals for higher level students? Check these out! Another popular bundle that you can find in my store is my File Folder Bundle Pack. 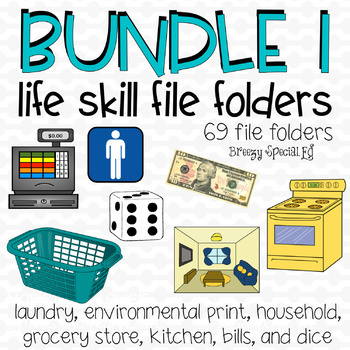 This bundle includes 69 file folders from 7 different packs in my store, all which have a functional, life skills twist, such as grocery store, cooking, household items, etc! I love using file folders for many different reasons. 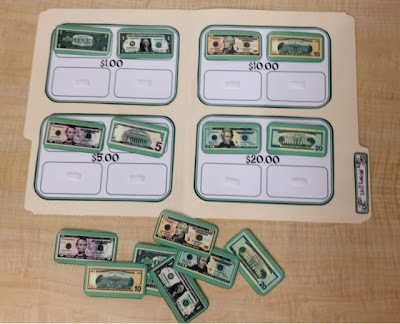 First, my students seem to think they are games instead of actual work, WIN! They are easy to use in task boxes, or for independent work. 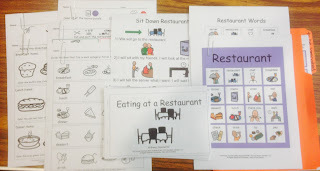 I also send a couple of these home with some of my students for homework each night. They are also great to grab when you have some extra time. Here's a couple of the file folders you can make from this pack! 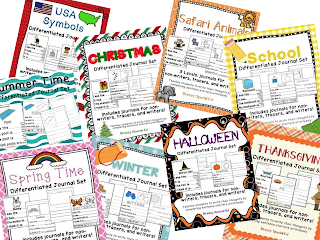 You can also find more file folders in my store that have not been bundled yet, such as this Coin ID Pack, Telling Time File Folders, and School File Folders. Grab the file folder bundle HERE. In my class, we go on one community trip each month and we spend the entire month preparing and getting excited for those trips. This pack includes materials to help you prepare for 8 unique community trips. My favorite trips are Restaurants and Grocery Stores! Each pack includes Bingo boards, vocab cards, worksheets, a field trip social story, coloring book, a class book, a social scenario game. You will be all set for your community trips! 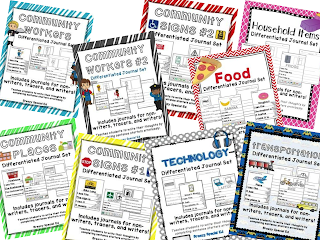 Grab them all and make your community trip planning for the year a BREEZE! 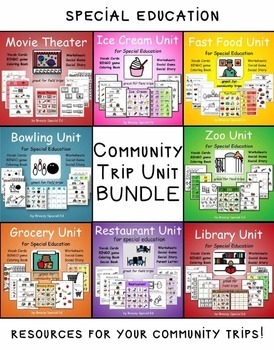 Grab this community trip unit bundle HERE. 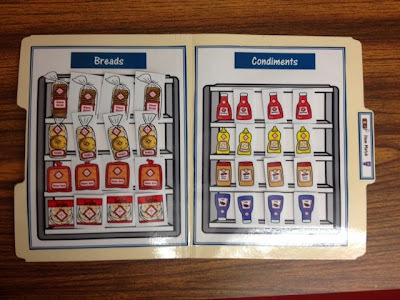 I have even more bundles in my store that might interest you, such as these household vocab units, task card bundle, money task card bundle! Happy shopping and happy back to school! As always, let me know if you have any questions or anything I can help you with to help get your school year off to a great start! 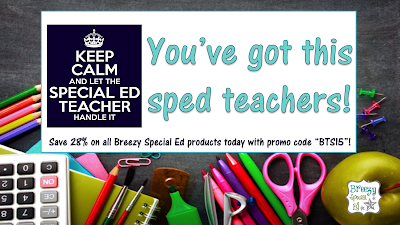 And be sure to check out the rest of my TpT store for items that will help you ease back into the school year prepared!